It is with a very heavy heart that I report today that our friend Celeste Yarnall has passed away. Surrounded by her loving family, she will never be forgotten. She is forever remembered to us Trek fans as Yeoman Martha Landon in The Apple, but she was so much more. Celeste and her beloved Nazim in 2013. Soulmates so happy together. Celeste passed on Sunday night after a hellish battle with cancer which began as ovarian four years ago and evolved into lung cancer recently. I can only imagine how awful it was when it was reported recently that she had non-stop coughing, pain, and mucus from the lung invasion. When I read that she was in hospice, I suspected that she was soon to be on her final celestial journey. I send my deepest condolences and comfort to her husband Nazim, daughter Cami, and granddaughter Gaby. You were her rock and her heart. She liked it so much, she printed it up big and displayed it frequently at her autograph signings! I was so honored. 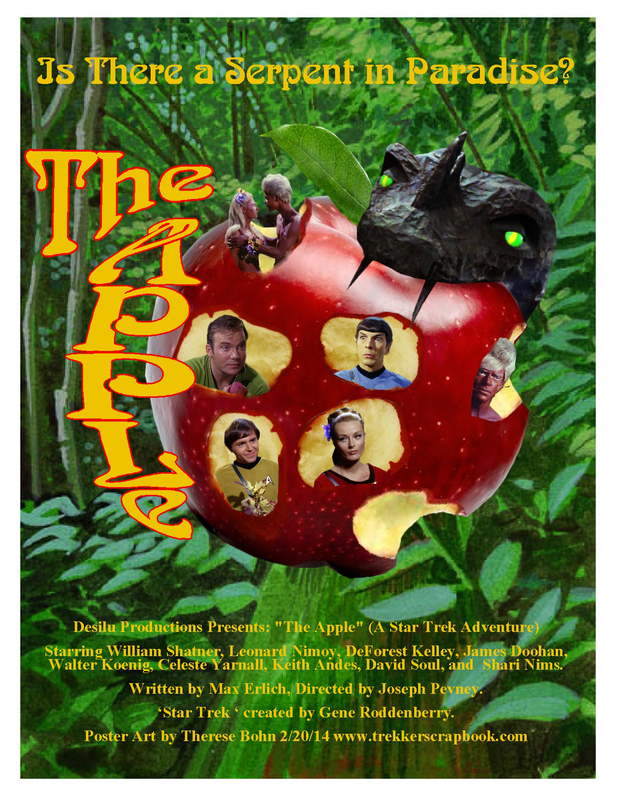 Inspired, I created numerous Star Trek ‘funnies‘ depicting her in her role as Yeoman Martha Landon in The Apple with Trek characters encouraging donations, like this one: I also like making artistic portraits of her as Martha the occasional collages for her business ventures like Bemer and Hemp Oil. She really enjoyed these, and was so gracious and thankful when she posted them on her blogs. I hope they helped. One of the first things I did after making Celeste’s acquaintance was making her a pretty peach floral pillowcase. We often conversed through Facebook and I had the joyous fortune of several phone conversations with her, and we would talk health, family, and occasionally Elvis and Star Trek. She was so funny and dear, and very passionate about letting people know about wellness and the promise of Immunotherapy, which helped her battle the ovarian cancer. She was comforting to me when I was going through my time with minor breast cancer,(Stage 0 – now free) which was nothing compared to hers. But she understood my fears, and gave me comfort, which helped me through it. Forever grateful. My only regret is that I never got to meet her personally. I couldn’t really afford a trip to Las Vegas to see her in one of her annual appearances there. If I had known this year’s would be her last, I’d have happily gone into credit debt to see her. But that is life, and I am so blessed that I got to know her in these past few years. When I heard of her hospice care, I immediately started making a photo book for her through a photo site. It was a collection of all the funnies and posters I made for her. Sadly, although it is on its way as I write this, she’ll never see it. But I truly hope that Nazim and Cami will take comfort in it as a memorial. They have worked so hard for her, and I pray they know that all their efforts were not in vain. As many of you know, Celeste has been dealing with Stage 4 Ovarian cancer for nearly 4 years now, and unfortunately it has returned. However, Celeste is fighting it with immuno-therapy and chemo, and she is carrying on with the strength of a tiger! Let’s make this a special birthday for her and please contribute any bit you can to Celeste’s Cancer treatment fund . You can read all of her updates and contribute there. After 3+ years, she is nearly up to her goal of $55,000! We have really helped her with her medical expenses, and every bit really helps! Thank you! Sad Update From Celeste Yarnall, Please lend Prayers and Support to her Cancer Fund. Earlier this month our beautiful friend Celeste Yarnall (Yeoman Landon in The Apple) discovered that, sadly, her Ovarian Cancer has returned. Fortunately it was found early, but again this will add a great emotional and financial burden to her and her family. As you recall, I’ve been promoting Celeste’s GoFundMe page for nearly two years now, and as of today she is within only $7000 of her final goal of $50,000. I’m asking you please to support her cancer treatment fund any way you can now. I’m hoping she will not need a second cancer fund, but every bit helps. My last physical exam with the cancer team of doctors at Cedars Sinai was a good one and Nazim and I were over the moon about that. In fact we actually celebrated this news with a visit to the Getty Museum on a truly beautiful day. Before the exam, as usual they did my CA125 ovarian cancer marker, blood test and the results came in to my doctor about a week later. And for the first time in 2 1/2 years it was suddenly, out of the normal range and so my nurse called me to tell me that they were concerned and wanted to schedule a CAT/PET scan as soon as possible. I had those scans done last week and then went back to go over them with the doctor the day following the tests. Sadly we learned that the same ovarian cancer has returned in the very same place as before, in the form of tiny little seed like growths on the wall of the peritoneal cavity. They are very small at this point and difficult to measure but they are too numerous to count. The Peritoneum is the lining of our abdomen that encases most of our organs. There is some good news and that is, we are catching it early and the other good news is that I feel great right now and would never believe this was happening. I also do NOT have to endure another surgery as we did the first time around in November of 2014, which was 8 to 10 hours and caused be to be in the hospital for 4 weeks! It has been a rough ride over the 2 1/2 years but we kept smiling because I have been in remission all this time but I know that was a gift and believe me there was never a moment where I was not truly grateful. So I will begin another 6 rounds of chemo this coming Thursday June 15th and be doing one treatment per month. We have scheduled the treatments and the medications so that I will still be able to attend the big Star Trek convention in August and another business convention in October. I hope there will be more opportunities as the doctors want me to live my normal life and continue my positive mind set as usual! One of the chemo drugs I will be getting will be the same as before which is Carboplatin and then they are also adding a new one which I didn’t have before. I made the mistake of googling the new drug and nearly passed out! I have as most of you know been doing every holistic protocol under the sun including CBD and THC oils for some time now however, even my holistic doctor says I must do the chemo and support my body through the ordeal with all my other protocols. The problem is that the holistic protocols, such as CBD/THC are not covered by insurance and the cannabis products are expensive as are the monthly costs for the supplements and some other things my team has in mind for me. Nazim and I keep wondering what on earth caused this cancer to come back and we feel that one of the things that may have caused it to override the immunotherapy is that I was not able to return (because of the cost) to Grand Cayman for my two booster immunotherapy vaccines. Each trip is $5000 (treatment and travel costs) and we just couldn’t raise the funding to go back, so now the plan is to do our best to raise the funding and go back to Grand Cayman when I finish the 6 rounds of chemo, to boost up my immune system again and hopefully complete the treatment schedule. This is aimed at taking place in December, hopefully. My husband Nazim took me to see Wonder Woman on Wednesday, which we so enjoyed and he said now I have to be Wonder Woman again and kick this cancer to the curb using everything there is available in the Standard of Care and the world of holistic health options, which I am very well versed in as an author and practitioner for 25+ years and I believe I am doing all that I can do but so need your help again financially to be able to afford them. As you may imagine ones work does suffer during chemo because of the side effects and fatigue however I have been working so hard lately to build our businessess and I have been so excited to be active in our various art of Wellness businesses but now I have to spend quite a bit of time going back and forth to Cedars for the treatments and all the appointments in between for blood work and physical exams. Our drive to and from Cedars each time is 2 hours. I take my laptop and do my best to keep up with everything and that also keeps my mind active and makes me feel like I am still hopefully being of value to others as I pay the BEMER device forward, share Nazim’s art and our VIDA wearable art, as well. Both my husband Nazim and I thank you in advance for anything you might be able to contribute to help me and this will of course be so appreciated. As you know I share these updates here not just for myself but also to bring awareness to ovarian cancer to women everywhere. Remember my first symptom was abdominal bloating and I thought I just thought I needed to loose weight and to do a cleanse. I actually did a 40 day juice fast and cleanse and when I look back I realize that I wasted so much time trying to deal with this myself and self diagnose, which kept me from seeing the doctor and then when I finally did see my GYN in my case that found this cancer, later than sooner..it was then stage 3 to be exact. So please be proactive with your own health and do all you can for prevention. It is also so important for us women to see our Gynecologist regularly as this is a cancer that is not found easily. Let’s all LIVE LONG AND PROSPER AND SOAR LIKE BUTTERFLIES making the most of every second we are blessed to enjoy living on our beloved Mother Earth. Celeste Update 2/9/2015 — Bit by Bit, an Achievable Goal! 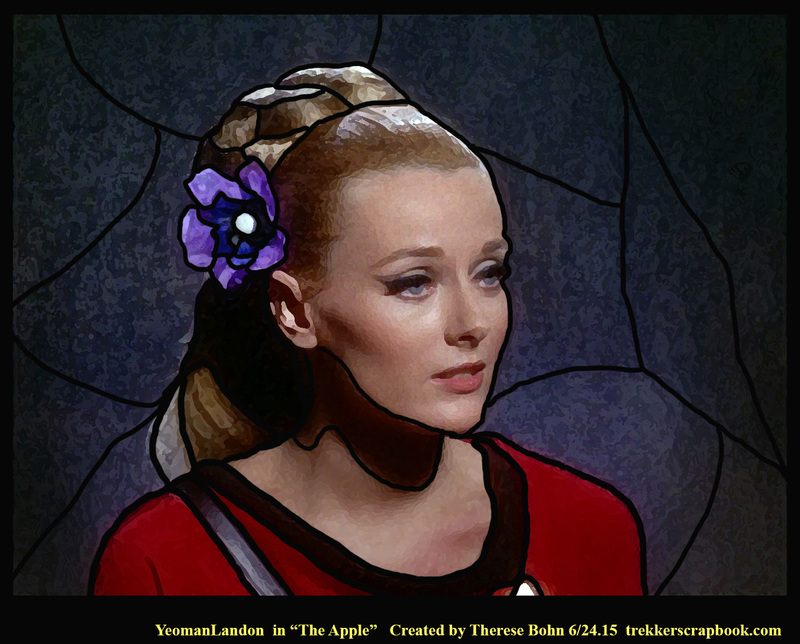 Here’s this week’s update for Celeste Yarnall’s cancer fund. At this writing, they have raised $13,664 toward the $50,000 goal. It’s taking a bit of time, but it is an achievable goal! You can contribute here. Please consider Mr. Spock’s calculations in the below comic, and please share this on Facebook, Twitter, emails, everywhere you can! I know we can help Celeste battle and win against this hellish ailment. 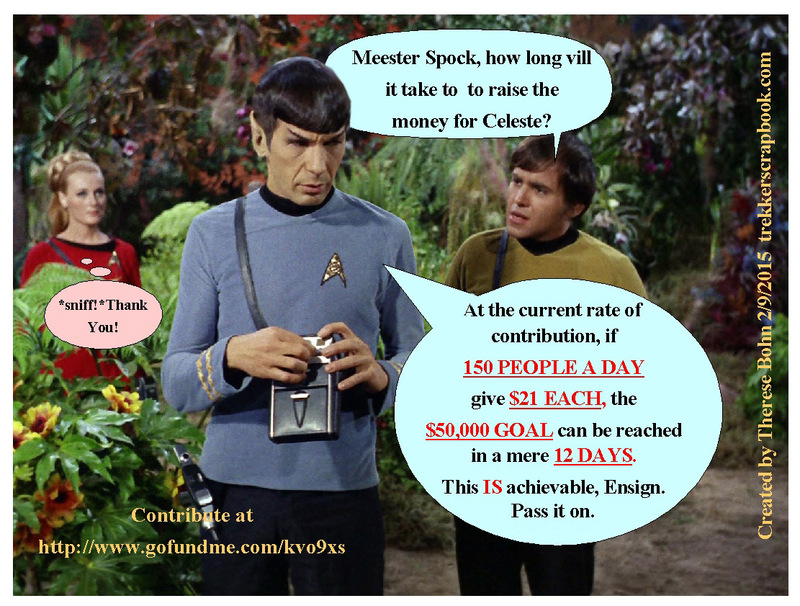 Wouldn’t it be wonderful if we could reach the goal in 12 days? Thanks to you All! We love you Celeste! And Pass it on! An apple a day…I’m very happy with this one!